Simple maintenance and cleaning procedures can greatly extend the life and efficiency of your refrigerator. Here's how you can keep your fridge running well now and for years to come. Dusty condenser coils cause a refrigerator to work harder; which translates into bigger energy bills and a shorter life expectancy for the fridge – not good. To prevent this from happening, use a vacuum or broom to remove dust build up from the coils every three months (once a month if you have pets). Depending on the model that you own, the coils will either be located behind the refrigerator or underneath the refrigerator. To access coils located underneath, remove the grill at the bottom front of the fridge. To access coils located behind, pull the unit out from the wall. Most refrigerators rely on a drain hole and drip pan to remove condensation, so it's important that these function properly. Remove any food particles and mineral deposits from the drain hole according to the instructions in your owner's manual. Then, scrub out the drain pan. The gaskets on the refrigerator and freezer doors are designed to seal the cool air in and to keep the warm air out – vital to the efficiency of your fridge. So, it's important to make sure that the seal is as strong as it should be. Look over the gaskets to see if there are any spots that are cracked or otherwise damaged. Then, shut a dollar bill in the door, and see if you can pull it out easily (the seal should create resistance). If either test turns up problems, consider replacing the gasket. Clean the gasket with an all-purpose cleaner, and wipe dry. Does your refrigerator have an ice maker or a water dispenser? If so, it probably also has a water filter that needs to be changed regularly. Replace your filter every six months or as recommended by the owner's manual. Need a little incentive to shell out for a new filter? Then consider this: water pulled through a dirty filter is often dirtier than before it was filtered. Yuck! 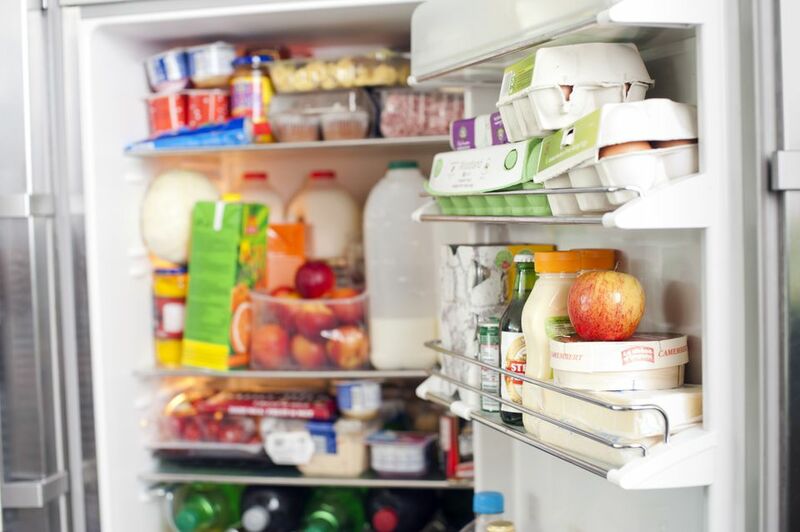 If your refrigerator isn't leveled the doors may not close on their own or may not seal as tightly as they're supposed to – yet another opportunity for energy loss. Check to see if your fridge is leveled, by placing a carpenter's level on top of your unit. Then, if necessary, adjust the feet (by hand or with a wrench) until you achieve level. Consult your refrigerator owner's manual to see if there are any additional maintenance items recommended for the model that you own and to get any parts numbers that you need.